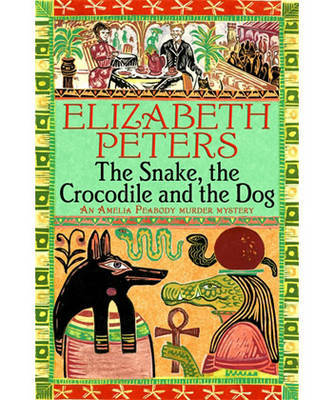 The Snake, the Crocodile and the Dog by Elizabeth Peters. I have a bit of an addiction to these books. I did start trying to read them in the right order but I've been distracted by a couple of the later ones. There's a really good one about the discovery of the tomb of Tutankhamun (and how much help the Emersons were to Howard Carter). Anyway this is one of the earlier ones and comes just after The Camel Died at Noon which is the first one I read. In this book the Emersons are in Egypt on their own, having left the children at home for once. Emerson gets himself kidnapped and hit on the head. Peabody goes to rescue him to discover that he's lost his memory and has no idea who she is. Much hilarity ensues as you can imagine. If you want a bit of light relief then these books are just the ticket.